Magazine assistant and aspiring fashion designer Caitlyn’s world is turned upside down when Prince Jeffrey and his presumed future fiancé Lady Isabelle come to town. Isabelle hires Caitlyn to design a dress for the royal New Year’s Eve ball where Jeffrey is expected to propose, which could launch the fashion career she’s always dreamed about. Navigating through her boss Abigail’s efforts to sabotage her, Caitlyn spends time creating a dress fit for a princess with her friend Doris, and planning the ball with Jeffrey. Caitlyn and Jeffrey begin to develop feelings for one another but Jeffrey’s royal commitment to marry Isabelle and assume the throne stands in between them. 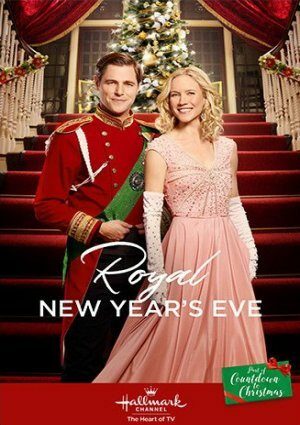 As the New Year’s Eve ball approaches, Jeffrey and Caitlyn must decide if they can overcome royal tradition to pursue their happily ever after.